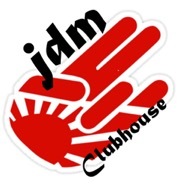 I'm a Chicago golfer (Illinois, USA) who was hooked by JDM clubs last summer. It started with some Miura CB 1008s and has progressed into wedges and putters fairly quickly. I'm a 8 hcdp trending downward and if I could putt, I'd be dangerous. I'm always/usually the longest off of the tee in my group and belong to a club in the suburbs. I'm here to learn more about what's available in terms of equipment since I'm constantly tinkering and build all of my own gear. I'm here to learn and offer input where I can. Glad to have you mjdm, would love to see a witb! I think you'll find this a friendly board as long as u keep a sense of humor. When the site was started by mbbg, there was a lot of censorship at the other forums so the culture is different here...I think in a good way, more candid IMO...mbbg takes donations to keep it running, welcome! Welcome to the forum!!! ...and the addiction, it only gets worse!! !